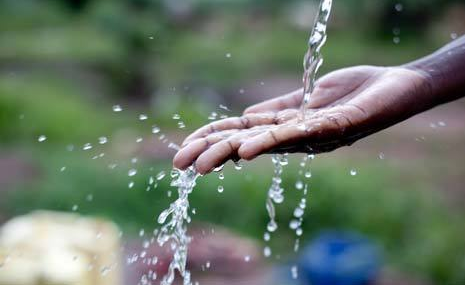 The Cabinet in one of the latest decisions has approved that government borrows US$150 million (about Shs555 billion) for water and sanitation in Uganda, according to government Spokesperson Ofwono Opondo. “The purpose is to ensure proper water provision for the greater Kampala region, contribute to wetland restoration, reforestation among others,” Ofwono on Tuesday told the press at the government-owned Uganda Media Centre in Kampala. The decision to borrow the money comes at the time when government is also running the Kampala Water – Lake Victoria Water and Sanitation Project whose objective is to ensure improvement of living conditions of the residents of Kampala through provision of safe and reliable water supply and improved sanitation until 2040. Ofwono said Cabinet has realised the need for the public Investment management system that can be used to address the concerns on how investors are chosen to operate in Uganda. On infrastructure development, he said Cabinet further noted the need for putting in place a project management fund that can be used to compensate land owners. “You have seen situations where a road is being built and people are not compensated. The real issue here is for proper coordination. There’ll be no promising without funds,” he said. Recently a plan to reconstruct and expand a 28km-road from Kyotera town to Rakai town council as well as compensate affected residents flopped due to lack of funds. The road is among those proposed by the ministry of energy ahead of the East African Oil Pipeline project and was allocated Shs43 billion. Ofwono also said Cabinet also realised that there is need to give credit insurance to protect those who participate in trade. “Cabinet also noted the importance of the African Trade Insurance for which Uganda is part. This is to protect traders from unfair Government actions that will have consequences on trade. This affects any African country, not just Uganda,” he noted. Experts say credit insurance is an insurance policy and a risk management product offered by private insurance companies and governmental export credit agencies to business entities wishing to protect their accounts receivable from loss due to credit.